‘Halloween’ 35th Anniversary Blu-ray Cover Art, Bonus Features Revealed! 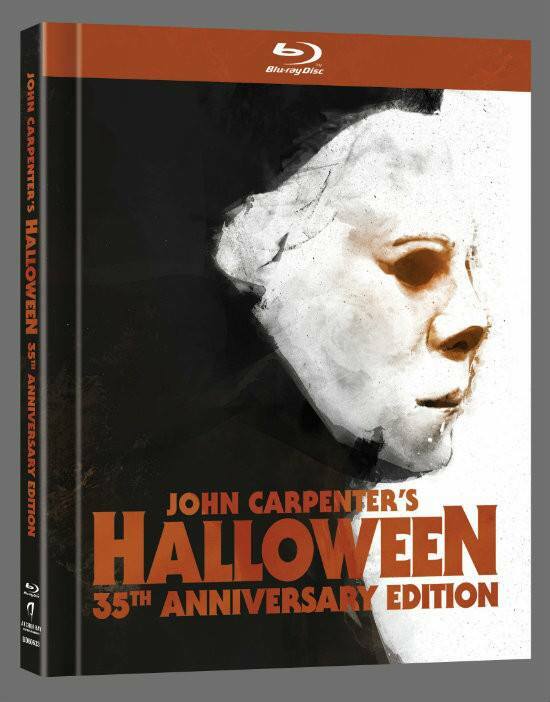 With a release date set for September 24, Anchor Bay has just announced the bonus features and unveiled some stunning cover art for their upcoming Blu-ray release of John Carpenter’s Halloween, all of which you can check out below! Scroll down to check out the bonus features, including a new 7.1 audio mix (as well as the original mono) and a new commentary tack by John Carpenter and Jamie Lee Curtis, and then let us know what you think of the announcement in the comments! Via IGN, the new release will be available in a collectible limited-edition book-style package (available only for the first printing) with 11 pages of archival photos, an essay by Halloween historian Stef Hutchinson and specially commissioned cover art by Jay Shaw. Pre-orders start on August 28!